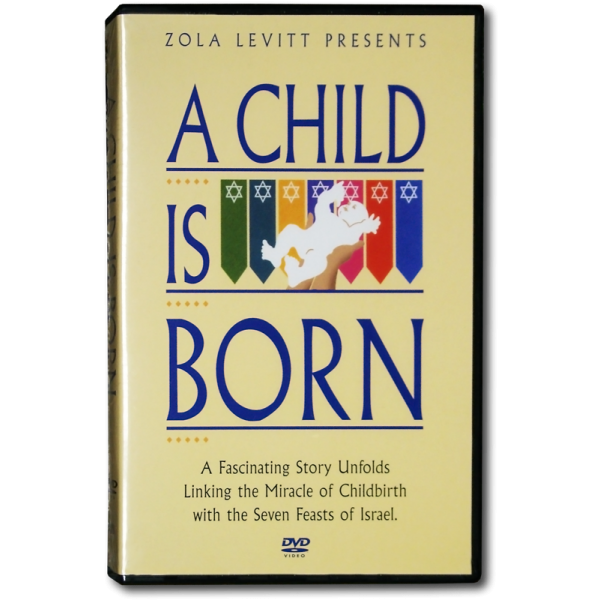 "A Child Is Born" (1 DVD) Links the Miracle of Childbirth with Seven Feasts of Israel! Zola discovered, quite by accident, an amazing series of Biblical “coincidences.” It seems that every one of us, as we develop in the womb, follows the schedule of the Seven Feasts of Israel that God gave to Moses on Mount Sinai. This half-hour program illustrates the surprising similarities of these two chains of events, each established by God according to His purpose.